"Greece: A Very Modern Tragedy?" 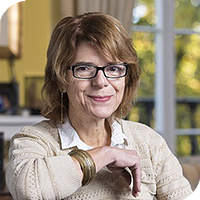 Vicky Pryce's recent posts have included: Senior Managing Director at FTI Consulting; Director General for Economics at the Department for Business, Innovation and Skills (BIS); and Joint Head of the UK Government Economics Service. She was previously Partner and Chief Economist at KPMG and earlier held chief economist positions in banking and the oil sector. She has has served on the Council of the Royal Economic Society, the Council of the University of Kent, the board of trustees at the RSA, the Court of the London School of Economics, andthe Council of the IFS. Vicky has also been a Visiting Professor at the Cass Business School, at Nuffield College, and Queen Mary, University of London, also Adjunct Professor at Imperial College. She is patron of ‘Pro-bono Economics’ and co-founded GoodCorporation, a company set up to promote corporate social responsibility. Vicky is a Fellow of the UK Academy of Social Sciences and the Society of Professional Economists and sits on the Council of the Inst. for Fiscal Studies and the Economic Advisory Group of British Chambers of Commerce. She is currently Chief Economic Adviser at CEBR. Her books include: Greekonomics: The Euro crisis and Why Politicians Don't Get It.